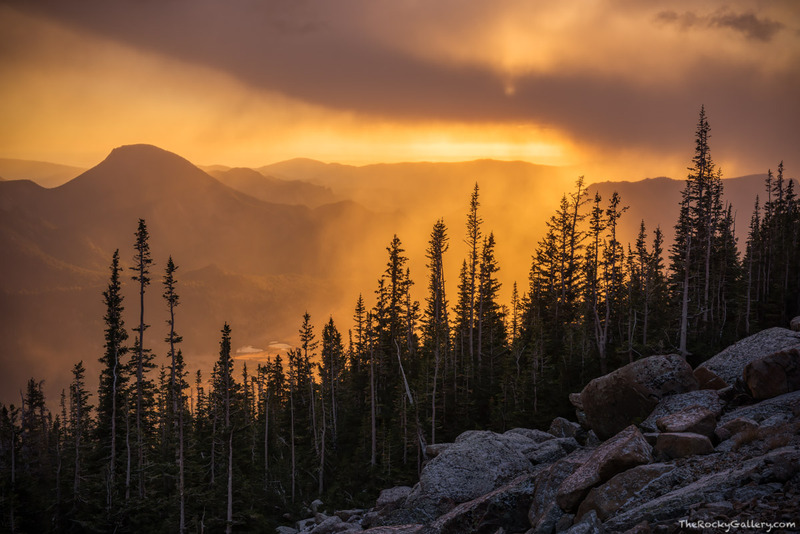 Conditions and seasons change quickly in Rocky Mountain National Park. October is only a few days old and already snow squalls are moving across Horseshoe Park and Trail Ridge Road on a cool autumn day. The warm morning sun backlights these squalls as they move between McGregor Mountain and Deer Mountain. Photo © copyright by Thomas Mangan.